True presently with 2 steps & I have notified with1 click​ ️. 13th Nov., 2017 WILL PASS IN LESS THAN AN HOUR...Smartron people do not know how to keep a gentleman's promise They had promised the update on 13th NOv., 2017 - see the above thread) . If there is no update coming, they should face the public and ADMIT IT. Its no use throwing corporate weight on the customers and keep on dodging the issue. Thanks. Smartron, as a small brand, you can falter with updates and some promises. Because many big brands like Moto, Samsung falter with updates and many other things (sometimes in a miserable way also). But after announcement of date of update, faltering isn't nice. We would all like to see an update ASAP. There is delay for couple of days, We are expecting Google approval by Thursday, and will go live immediately. We have rolled out 4 OTA updates till now and the fifth one is about to roll out this week. If you haven't updated the software before, you can do it now. Go to Settings > About Phone > Smartron System update. Nobody received the latest update yet. 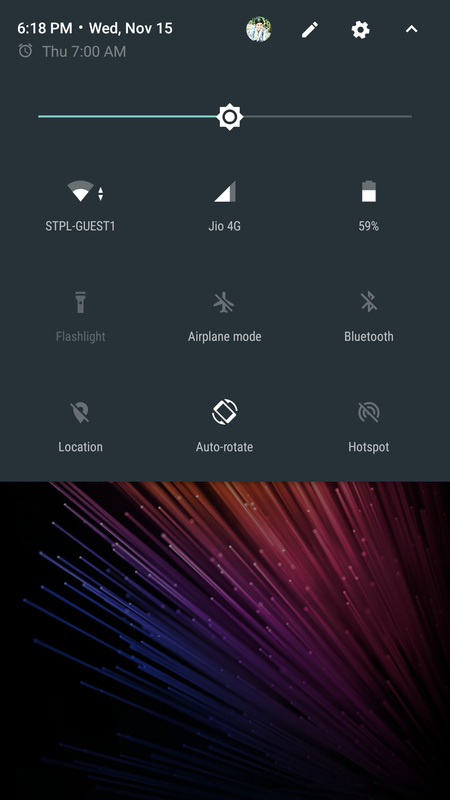 I'm facing weird issue with the notification bar. 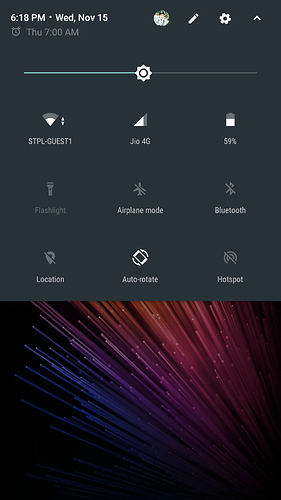 After clicking on power button and scrolling down the notification bar, flash light icon is enabling and disabling automatically. Can you restart your device and check? It's still the same issue after restarting. Please reproduce the issue, screen record the same and take a bug report and share these to cvttest3@gmail.com. We will look into it.